Mouse anti Human heat shock 70 kDa protein 5 antibody recognizes heat shock 70 kDa protein 5 also known as GRP78, HSPA5 or 78 kDa glucose-regulated protein. Heat shock 70 kDa protein 5 is a member of the heat shock protein 70 (HSP70) family. It is localized in the lumen of the endoplasmic reticulum (ER), and is involved in the folding and assembly of proteins in the ER. As this protein interacts with many ER proteins, it may play a key role in monitoring protein transport through the cell (provided by RefSeq, Sep 2010). 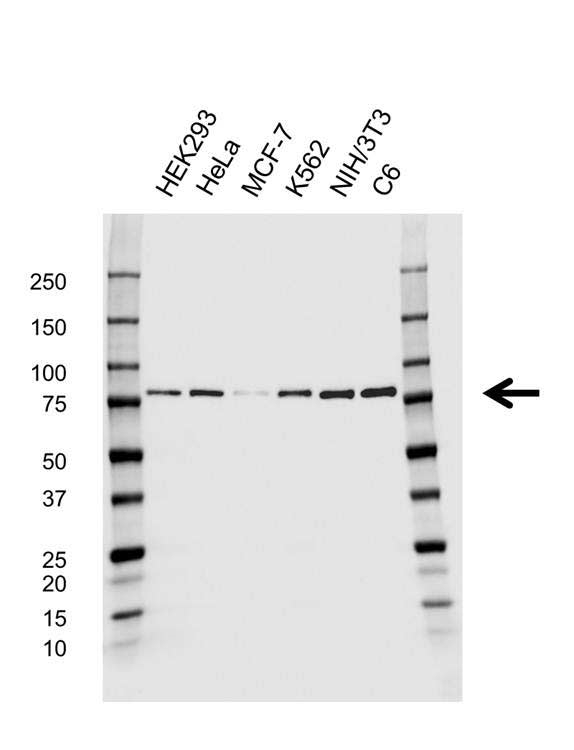 Mouse anti Human heat shock 70 kDa Protein 5 antibody detects a band of 78 kDa. The antibody has been extensively validated for western blotting using whole cell lysates.